For many Bexhillians this is probably the least interesting, least fathomable, and most confusing, most boring item currently in the local news. But just wait a minute! Bexhill’s first charter acknowledging its own identity as a community was granted by King Offa of Mercia in 772AD. We remained self-governing over the centuries and in 1902 Bexhill was incorporated as a borough by Edward VII. Bexhill’s autonomy continued until 1974 when it was finally abolished by a nationwide reorganisation of local government for reasons purely to do with administrative convenience. Having been responsible for our own affairs through our own governing body for over 1,200 years, Bexhill was peremptorily subsumed into the newly created Rother District Council. However, whereas all of Rother’s 32 rural communities such as Burwash (population 2,713), East Guldeford (pop 327), Peasmarsh (pop 1,163) and Udimore (pop 369) retained their own parish councils, no such privilege was granted to Bexhill (pop 42,369) which was, and still is, directly administered by Rother DC. Bexhill is the only Rother community which does not have its own parish council. 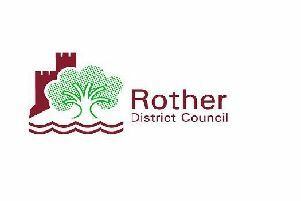 This is despite the fact that probably well over half of Rother’s Council Tax funding comes from Bexhill. Rother’s accounts do not break down their income sources in any transparent way. As we approach the Governance Review which will take place from September 1 to October 13, what would be really helpful would be for our councillors to do their job, publicise details of the review, and explain how the public can participate. Get hold of you councillors’ details and make a nuisance of yourself! Finally, an interesting aspect of the Rother Governance Review at the moment is to compare it with the national issue of Brexit. If we believe that the move towards Brexit is all about democracy and bringing decision making closer to ground level, how can we not wish to establish a town council which has similar aims?